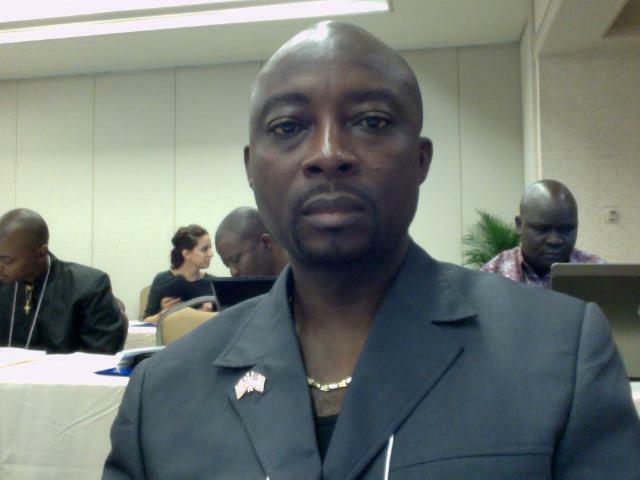 The Naymote Partners for Democratic Development, Liberia’s prime democratic advancement institution releases 270 days report oNAn its President Meter Project. This report presents the findings of promises tracked, documented, monitored and rated against progress made by President George M. Weah and the Coalition for Democratic Change (CDC) between the period January 22 to October 31, 2018. The President Meter is an independent monitoring tool that enables Liberians and civil society actors to evaluate the implementation of campaign and post-campaign promises made by President George Manneh Weah and the Coalition for Democratic Change. This report focuses on promises contained in the CDC Manifesto as well as promises made since President Weah was formally inaugurated into office on January 22, 2018. The overarching objectives of the President Meter Project are to promote democratic accountability, improve government’s performance, strengthen public service delivery, counter misinformation, educate citizens on what the government is doing, and to create a line of communication between the governed and the government. The President Meter has tracked, documented, monitored and rated 85 promises (65 promises from the CDC Manifesto 2017 and 20 promises from campaign speeches, policy statements and presidential directives). Of these 85 promises, 10 were focused on education, 8 dealt with health, 12 focused on the economy, 7 highlighted agriculture and forestry, 12 dealt with infrastructure development, 1 highlighted transportation, 5 on justice and human rights, 4 on youth reorientation and empowerment, 3 on security and national defense, 5 on foreign policy and diplomatic relations, 4 on decentralization of institutions and systems, 3 on gender equality, 5 on senior citizens and physically challenged, 2 on reconciliation and 4 on accountability. Payment of the West African Examination Council (WAEC) fees for all students who sat the WAEC exams in 2017 across the country. Renovation of the John F. Kennedy Memorial Hospital. Ensure the passage of the Land Rights Act. Reduction of salaries for public officials under the Executive Branch of Government. Of the remaining 81 promises, 28 are rated as ongoing, 38 as not started and 15 as not rated. Completed: This is when a promise has been tracked, monitored, verified and confirmed to be achieved. Ongoing: This is when the government is working toward achieving a promise, but the promise has not been fully achieved. Not rated: This is when information is not easily accessible to verify whether an action has been taken on a promise. Not started: This is when no concrete action has taken place in response to a given promise. The deployment of Peacekeeping Mission to Mali started under former President Sirleaf government but the mission has been maintained and the number of soldiers (AFL) has been increased under the current administration. Advocating against Gender Based Violence and the Promotion of Girls’ Rights was amplified under the former administration while the current government has made commitments and demonstrated efforts toward the promotion of Girls’ Rights. Strengthening emergency preparedness and response mechanism and institution to prevent diseases as well as improve childhood preventable disease vaccination coverage were initiated under the previous government but the current government has demonstrated efforts to sustaining these gains and is currently instituting measures to strengthen emergency preparedness and childhood vaccination across the country. The renovation of the JFK Memorial Hospital started as far back as 2016 under President Sirleaf and substantial work was done when the transition took place. This President Weah augmented the efforts of the former President Sirleaf and additional work was done, and the hospital was formally launched a few months after taking office. In tracking and documenting promises, several distinct yet inter-related quantitative data monitoring tools were used. They included: Extraction, Verifying promises, Tracking and Monitoring. Tracking and Monitoring: Promises were systematically tracked using different sets of tools or checklists. Tools were developed to track statements made by the President on radio and television stations or statements made by public officials on the implementation of promises made by the President. Tracking of radio stations was done daily during the morning and afternoon hours focusing on radio talk shows, news, and special features where government officials appeared as guests, online tracking, newspapers, onsite visit and etc. The institution’s Executive Director, Eddie Jarwolo, said this is the first time that the President Meter is being used in Liberia to monitor, track and document progress made in the implementation of campaign and post-campaign promises. He said government has been in power for almost a year and this report has shown that while 4 promises have been completed, twenty-eight other promises are ongoing. If efforts stay on course, these twenty-eight promises could be completed over time. The thirty-eight promises that have been categorized as “not-started” do not mean or suggest that they cannot be achieved with time. He calls on the government to take the and report and recommendations in good faith to make some strategic decisions and resource allocations to deliver on promises made. The institution appreciates the Open Society Initiative of West Africa (OSIWA) for supporting the first year or pilot stage of the project. The project was done in partnership with the Center for Democratic Governance which is a Think Tank civil society organization operating in Liberia.